Ronald Philip Tanaka (poet, photographer and project director) is a third-generation Japanese-American who was born in the Poston, Arizona Relocation Center in 1944. He attended Pomona College, Claremont and holds an interdisciplinary doctorate in 17th c. British literature, philosophy of language and generative syntax and semantics from the University of California, Berkeley, where he studied under Julian C. Boyd. Before coming to California State University, Sacramento in 1972, he taught at the University of British Columbia, where he was also a member of the English Syntax Project. Tanaka is the author of Systems Models for Literary Macro-Theory and On the Metaphysical Foundations of a Sansei Poetics (serialized in the Journal of Ethnic Studies), as well as articles in literary semantics, Asian-American culture, and management. His first book of poetry, The Shino Suite, won a Before Columbus Foundation American Book Award for 1982. Since 1987, Tanaka has devoted himself to public service exhibitions of poetry and photography which focus on the newly emerging Pacific Rim culture of the next century. He has received awards from the California Arts Council, the Sacramento Metropolitan Arts Commission and the Foundation of CSU, Sacramento, as well as from Nordstrom, Macy's and Mount Eden Vineyards. He has shown throughout Northern California, including two exhibitions at Fort Mason Center, San Francisco and at the Highlands Inn, Carmel. Dr. Tanaka holds a black belt in kendó and has studied the Japanese tea ceremony with Mme. 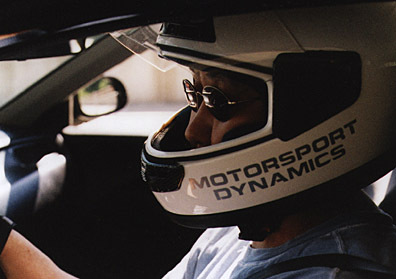 Soritsu Nakatani of Sacramento. He is the single parent of two girls, Shinobu and Yoi, and is currently Professor of Ethnic Studies and English at CSUS.